Roll your own or purchased 4-wire 3-aspect LED signal heads typically use common "+" or common-anode wiring. 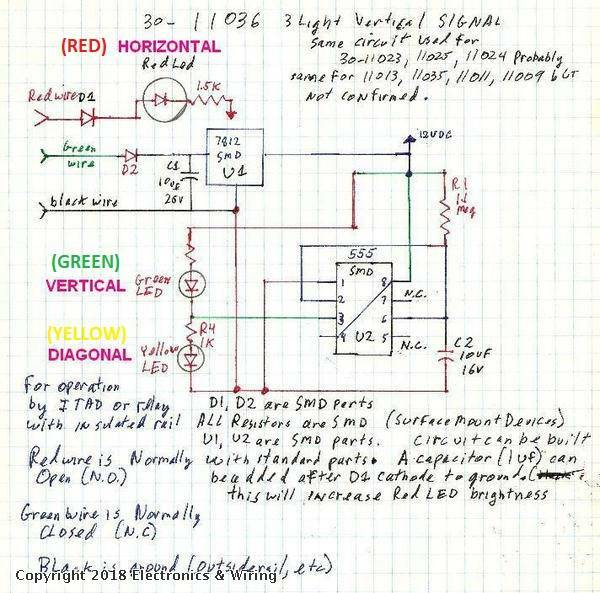 Published circuits such as the reverse-engineered MTH timed-yellow method for 3-LED Red-Yellow-Green do not use the common "+" wiring. The circuit can be modified with additional components. While the component cost is only a few dollars, the assembly and soldering can be tedious. 3-aspect timed-yellow circuitry also applies to PRR 7-LED style where the center LED is always ON. 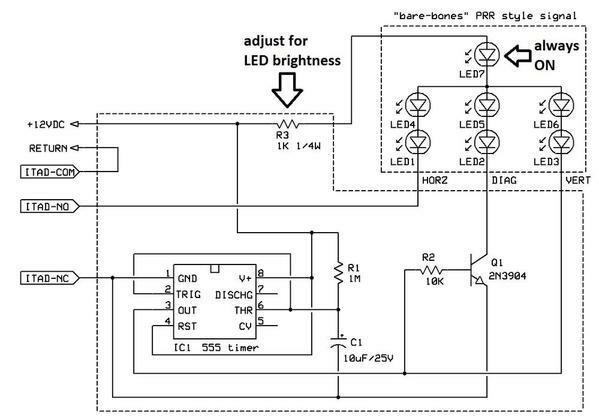 In both styles, the "+" DC supply to the LEDs has a single current-limiting resistor. For 12V DC operation, a typical resistor value for 1-LED-at-a-time heads is 1000 Ohms (3-LED-at-a-time heads 330 or 470 Ohms). A low-cost "Delay ON" relay module from eBay can be used which in many cases can eliminate the need to turn on the soldering iron! 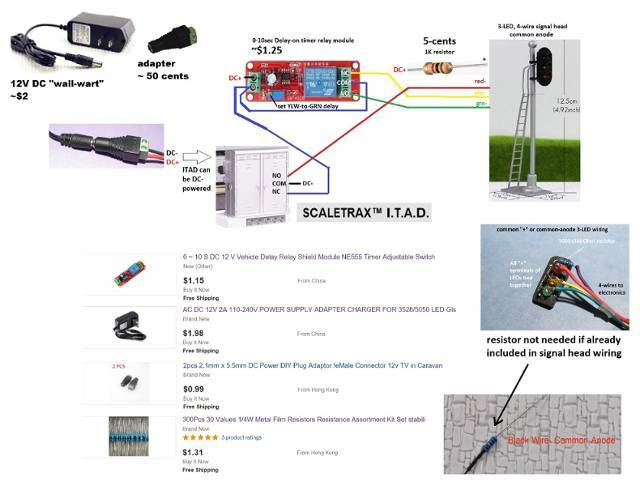 A signal head is typically driven by a 2-output occupancy detector such as the MTH ITAD or Lionel 153IR. The timed-yellow circuit provides the 3rd-output. In any case, the occupancy detector must provide 2-outputs which even for the basic insulated-3rd-rail method will have a relay output with the "NO" and "NC" being the 2 outputs. Here's an example of the same delay-ON relay module providing timed-diagonal to a 3-aspect 7-LED 4-wire PRR-style head.